Name : Vote If Barney Should Win! 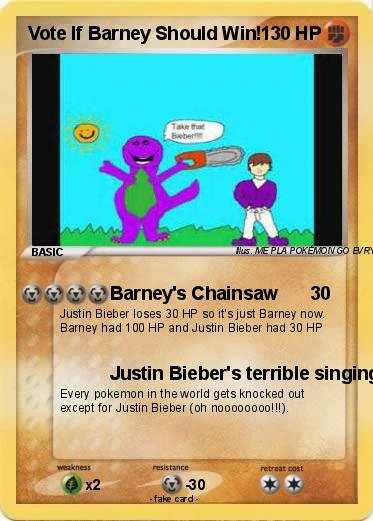 Every pokemon in the world gets knocked out except for Justin Bieber (oh noooooooo!!!). Comments : This pokemon has a dark heart, is electric, and is a very strong dragon type pokemon.